Norman Goldwasser has practised therapies to "cure" homosexuality (photo: YouTube). Several survivors of child sexual abuse in the Jewish community condemned Dr Goldwasser's involvement. 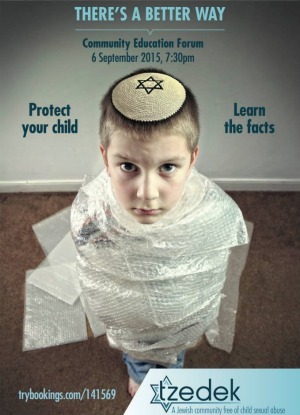 Tzedek Australia's poster for its Community Education Forum (photo: Facebook). 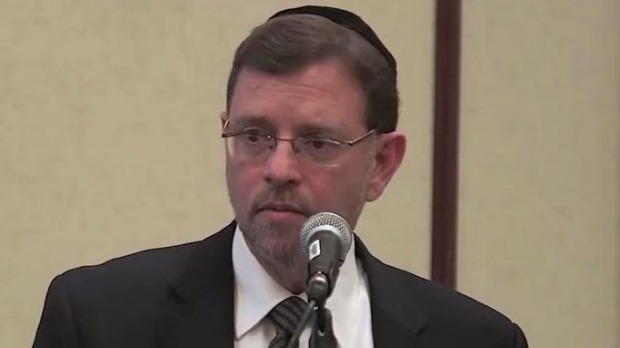 Several Tzedek board members threatened to resign if Dr Goldwasser attended the event. The founder of Tzedek, Manny Waks, a survivor of child sexual abuse, said he had advised the current chief executive of the organisation not to invite the controversial figure. On Friday, the group issued a statement, saying: "Tzedek's mission statement is to support and advocate for victims of sexual abuse in the Jewish community. "Among other things, we have taken on board concerns raised by the LGBTI [sic] community. As a result we have reviewed the matter and decided that it is no longer appropriate for Dr Goldwasser to speak at the forum. "Our forum will proceed on September 6 and we encourage all members of the community to attend. "